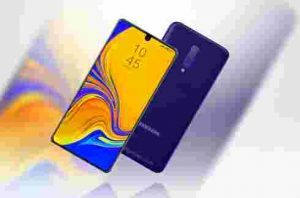 Samsung Galaxy M20 review, price, advantages, disadvantages and specifications - Max - Inn Forum - Powered by InnJoo! Samsung Galaxy M20 has the main camera of Dual 13 MP, f/1.9, 1/2.8″, 1.12μm, PDAF, 5 MP, f/2.2, 1/6″, 1.12μm, It presents features such as LED flash, panorama, HDR, It takes amazing photos with high quality, It gives you a video of 1080p@30fps, It has a selfie camera of Single 8 MP, f/2.0, It has features such as HDR, It presents a video of 1080p@30fps and it presents superb selfies. Great post, thanks for this valuable info. Please-please! I need your help. Has anyone tried this smartphone while playing online games. I am especially interested in unrankedsmurfs.com!!! It is lagging so badly on my iPhone 5s, and the LOL game is so catching. It makes me very nervous!